Based in San Diego, California, Pro Systems was founded by Brad Donaldson. Brad started a mobile DJ company, "California Sound Production" in 1989 while in high school. As the mobile business grew, so did the sound and lighting systems that they carried. In the early '90's, the company transitioned into larger productions, providing sound and lighting systems for electronic dance events. Moving out of the garage and into their first warehouse, they also begin selling equipment. The company name changed to California Sound & Lighting, which grew into a dominant player selling and renting sound systems, lighting, records and DJ equipment. The production and special events business also continued to grow. The retail business was sold in 2003 so Brad could focus all his energy on his true passion of event production and system integration. 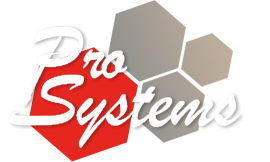 Keeping the core production and installation business, the "Pro Systems" brand was born.